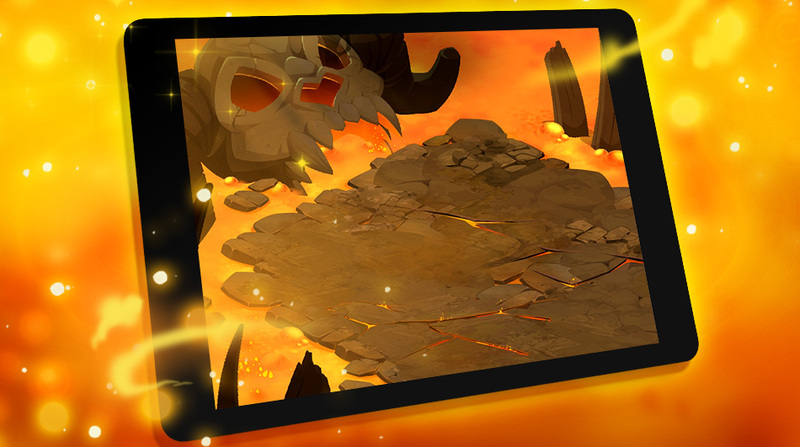 DOFUS Touch Missive #12 - Info - News - DOFUS Touch, a colossal MMO at your fingertips! 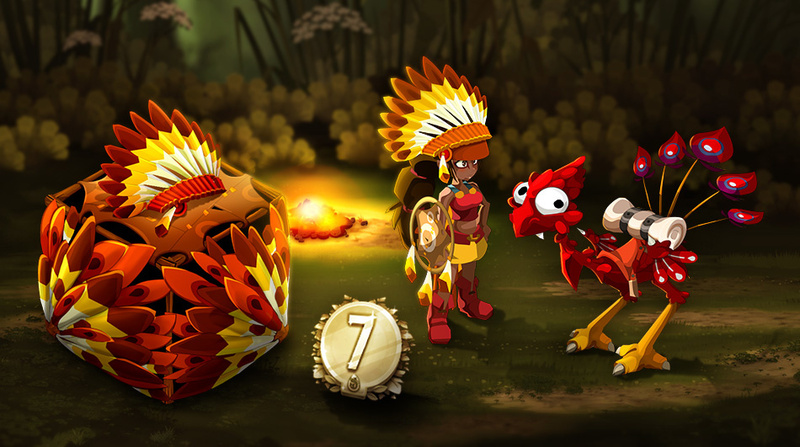 This past year was an eventful one for DOFUS Touch! How about a quick look back? The least we can say is that you seemed to enjoy it! We are pleased to see that the number of (real!) players has increased compared to 2017. And the trend seems to be continuing as 2019 starts. These various updates earned the project featured spots, notably in the Google Play Store in summer 2018 and early 2019. Some popular video makers, such as NewTiteuf took an interest in the game on their own! But how can we consolidate all this in 2019? The rest of this Missive #12 presents the first possibilities for this! In order to continue offering you new content effectively throughout the year, we feel that it is important for our team to spend some time improving current game conditions. This involves different aspects, and not just small ones! Announced in early January and immediately ramped up! The fight against bots and all other forms of in-game cheating has resumed all the stronger in the start of 2019, as some of you have already noticed. And that's just a start, since the DOFUS Touch team and other developers at Ankama will keep working on these subjects hand in hand throughout the year. Let's not forget the remarkable work done by our moderators! While they are often criticized by certain players, they are also the ones on the front lines every day working to improve your in-game experience. 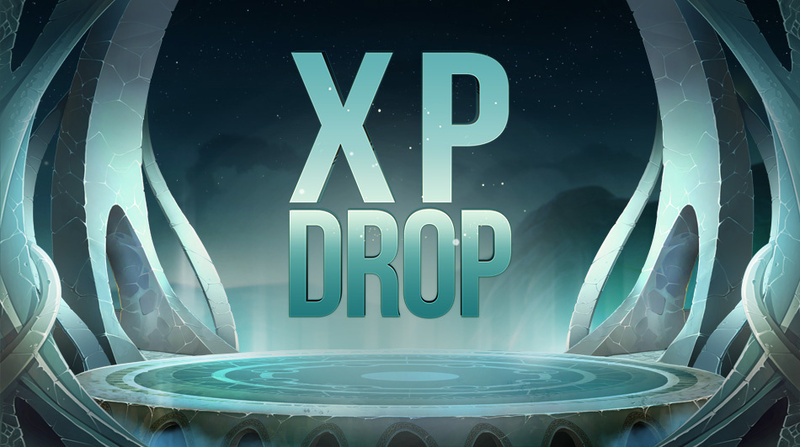 We know that certain issues such as the reappearance of archmonsters, how the number of AP are displayed after using the "Precipitation" spell, the "dead cells", and certain loading issues have been or still are present. This year, we want to be more vigilant about various known issues in the game in order to fix them more quickly. Some were already fixed a few days ago, and others will be fixed soon! We've already addressed this subject several times in the past. New measures will be taken starting in March to balance and smoothen the economy on servers. While these steps are often poorly taken by the community, they are nonetheless vital for the game's longevity. More information will be forthcoming in good time! This feature has been available since the winter holidays and will bring a lot to the game! The advantage is that it can be perfected with each successive rotation. The first rotation comes to an end this February 19, and the second will start on March 5. So, you only have a few days left to climb to the top of the leaderboard and unlock as many rewards as possible! And, just because we like you, here's a – spoiler alert! 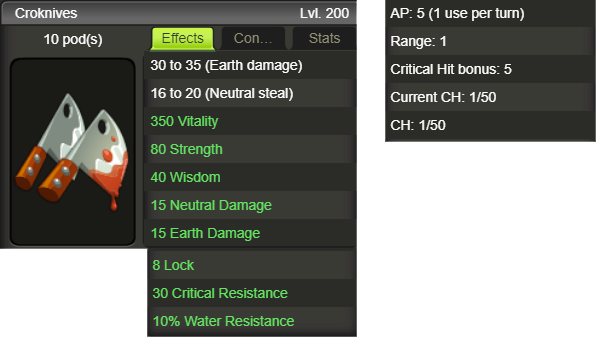 – sneak peek at the equipment coming! It's an axe. Started in September 2018, class balancing will continue this year. It is possible that some classes will be tweaked much more than others. In any case, rest assured that the changes will be presented to you during a beta phase, which will probably happen at about the same time as last year (in summer). Overall, we are generally satisfied with the past balancing, with a few reservations about Xelor, which should lead to a few adjustments. The smithmagic tournament will be back for a second run in 2019! Even though the first one was a real success, we hope to give you something even better in collaboration with Seigneur-Fou, a JeuxOnLine member. Don't forget that the workshop on this subject is still available in the official forums! Yes, we agree, all that's well and good but it's equally vital to offer new content in order to keep DOFUS Touch attractive. "So, what will the new content for 2019 be?!" It'd take a real clever one to say what it'll be… You know us well enough now to know that it isn't our style to ruin the surprise too soon and too easily! And that's the end of this Missi… What? No? Alright, alright already! Just a quick glimpse – a tiny spoiler. After setting up Ascension Island, we want to work more deeply on PvP this year. And by that, we mean PvP features, not tournaments! Of course, you know nothing will happen overnight, but the project is seriously underway for 2019, just like Ascension Island was in 2018. Be patient a little longer, and you'll learn more! We'd also like to examine shields, which aren't very useful in the game at the moment but have huge potential. "Are you going to offer the same overhaul as in DOFUS?" 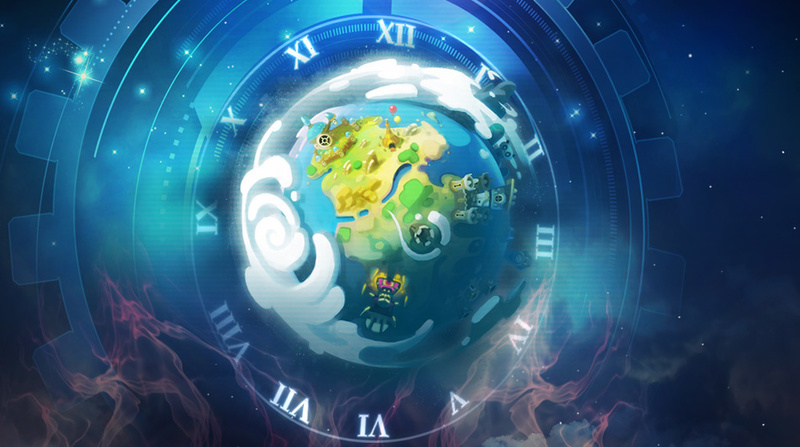 Some areas in this overhaul will be the same, but we're planning on including some new things unique to DOFUS Touch. 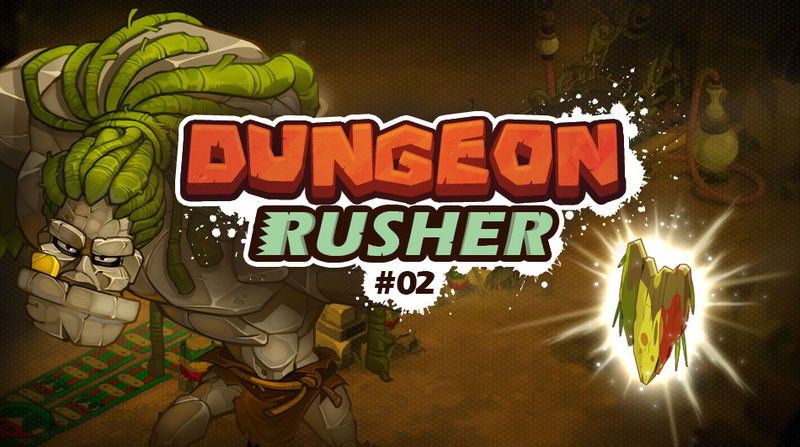 We are also planning on adding new zones to the game with their own monsters, equipment, quests, etc. and much more. Some of these zones have been expected for several months… but we won't say more about them! As announced in this article, the shop will undergo a few changes in 2019! Plans notably include work on cosmetic items (ceremonial system) and a service to add character slots to your account. This service will arrive in time for the second Ascension Island rotation scheduled for March 5! Oh, yes, lots more for the year to come! But if we reveal any more spoilers, [Kokillette]'s gonna be all over us. More seriously, though, it is difficult to give you more details at this stage. We do hope that the first outlines presented above will keep you satisfied until we can tell you more! "Where have [Yawn] and [Maewin] been since the December update?!" Relax, your beloved game designers aren't missing! In order to optimize work and collaboration with the development team, [Yawn] and [Maewin] have headed to Japan. They took a little time to enjoy the year-end holidays, pack, make the trip, unpack, and migrate their tools… and they've been back since the start of February. And that's the end of this Missive, for real this time. As always, feel free to let us know what you think in the comments section below.